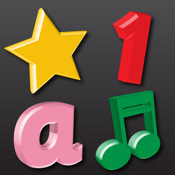 Description: App uses an onscreen piano with keys highlighted in sequence for the child to tap out familiar nursery tunes. It is kind of like a really slow-paced Guitar Hero, with a piano, and no scoring. Description: Child can drag and drop various shapes into their matching slots. Most of us probably have come across these shape toys, usually made out of wood. Now we don’t have to find them strewn everywhere with this app. This category of apps is the ‘low hanging fruit’ of educational apps for toddlers. Relatively easy to develop because the concept is straightforward – take the traditional flash card-based learning system, add in snazzy graphics (sometimes animated but not in this app), put up on the appstore, repeat. Again, another useful app that will save parents time and effort from picking up cards strewn all over the floor. Description: This is Hangman for toddlers with only 1 or 2 missing alphabets. And since it is for toddlers, you get the picture clue as well. Toddlers are really excited about this one.  iPhone, $1.99; iPad, $3.99. Description: This is tougher than Word Magic. The kid will have to assemble whole words from the jumbled-up alphabets. Parents will be pretty excited when their kids unexpectedly complete their first difficult word, words like 'iphone'. Description: Drag and drop shapes into matching slots. 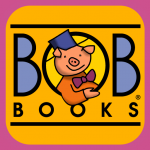 This is one of the early educational apps that have been in the appstore since 2009. Probably one of the first apps that kids would be interested in. 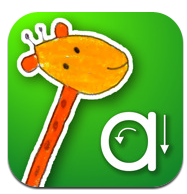 Description: Tracing alphabets and numbers onscreen is another concept that is tailor-made for iPhones and iPads. Also available in Spanish and French.  Category: Learning about Addition, Subtraction and Spelling. 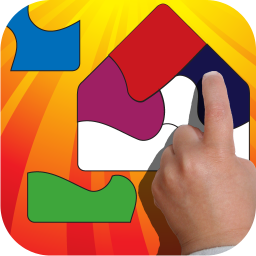 Description: This app allows several kids to create their own accounts within the same app so that they can complete the lessons at their own pace. It is in the Question-Answer learning format and covers Addition, Subtraction and Spelling. For older preschoolers who can read.  Category: Animated Flash Cards for Alphabet, Numbers, Shapes and Colours. 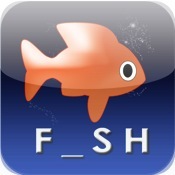 Description: Schools of fish swim in tight formations that look like Alphabets, Numbers, Shapes. Sometimes all of them have the same colour. You get the idea.  Category: Animated Flash Cards for Alphabet, Sounds, Numbers, Animals. Description: Another app that uses animated flash cards for learning. Probably needs a better app name rather than one that is made for search engines. 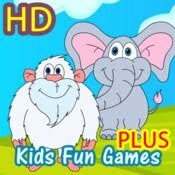 You should give Monkey Tunes a look! 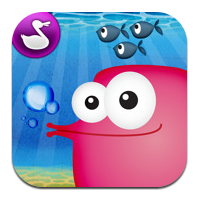 It is a great mind training game for kids on iPad and iPhone!